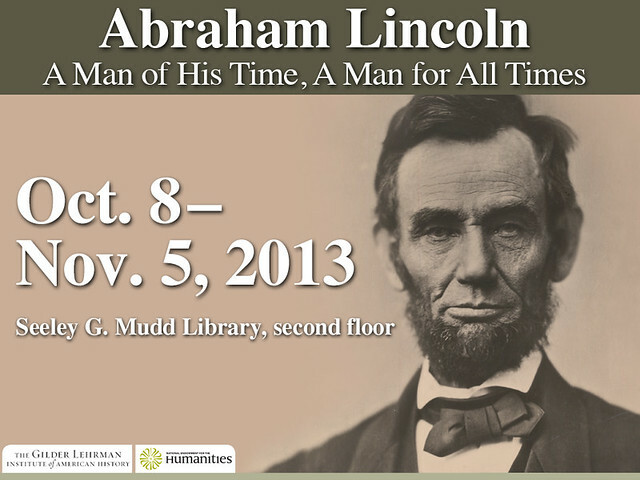 The Mudd Library is currently hosting a new Lincoln exhibit entitled, Abraham Lincoln: A Man of His Time, A Man for All Times. This exhibit focuses on the life of President Lincoln, following his path from a self-educated young man, to President of the United States and the challenges he faced while President. 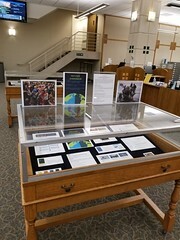 This exhibit came to us from The Gilder Lehrman Institute of American History. 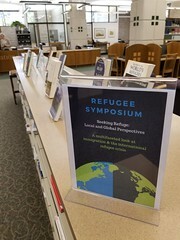 To learn more about it, see the Gilder Lehrman page– or better yet- come to the second floor of the Mudd Library and see it for yourself! 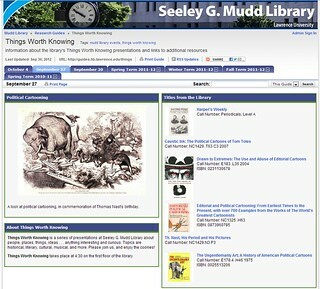 It was installed in the Mudd on October 8th, and will be up through November 5th. Getting stressed out by end of term projects, papers, and pending final exams? To help you relax, we’ve scheduled our annual Canine Therapy event for Monday, June 3rd from 2-3 pm. 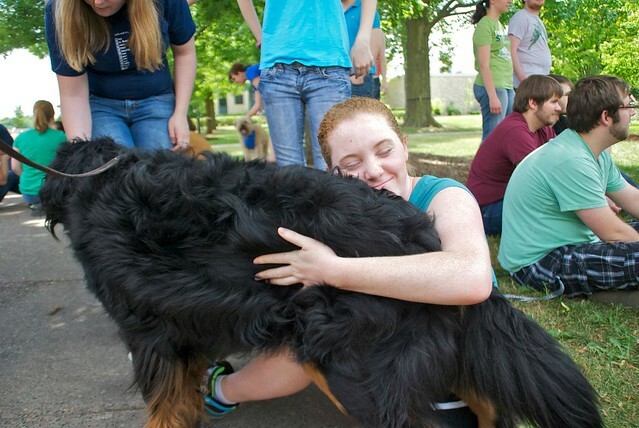 For those of you who have not yet attended one of these events, Mudd Library and other Lawrence staff and faculty bring their beloved dogs to the library plaza to share some pets and snuggles with stressed-out students. So, no matter how stressful you fear your finals week will be- remember that you’ll have the unconditional love of a sweet puppy to make things better. We’re into summer now, so it’s time for the library’s coffeehouse series. If you’re unfamiliar with the coffeehouses, they provide an opportunity to come to the library, enjoy a snack, and learn about resources and services available to help you with work or leisure interests. 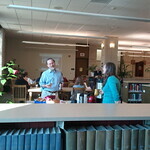 Coffeehouses will be held on the first floor of the library in the reference area. We’ll start promptly at 10:00, finish at 10:45. All staff and faculty are welcome to attend. Visit our coffeehouse webpage for these details and more! What is summer in a library without reading? 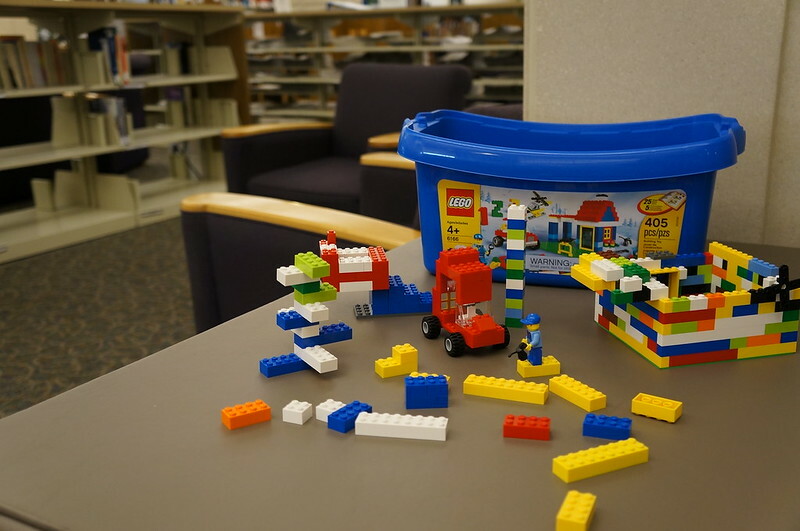 Come hear about the library staff’s favorite summer reads. And please share yours with us! 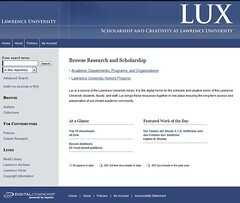 This summer witnesses the official launch of Lux, a digital repository of scholarly and creative work produced by Lawrence students, staff, and faculty. Join us as Antoinette Powell, Erin Dix, and Colette Lunday Brautigam tell us about this new tool for ensuring the long-term access and preservation of the work of our vibrant academic community. August 8— Hey, You, Get Onto My Cloud! So you’ve heard people use this nebulous phrase “cloud computing,” but what does it mean? How can these “cloud” products and services help me with collaborative projects, in my teaching, or in my work life in general? Julie Fricke will lead us as we explore some of the latest in cloud computing and applications. 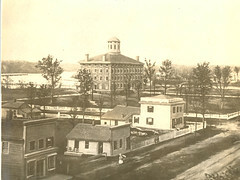 Since the founding of Lawrence and the growth of the city of Appleton in the mid-1800s, LU and Appleton have shared much history. Erin Dix will help us explore the intertwining of Lawrence and Appleton history over time, highlighting sources from our University Archives. Refreshments, as always, will be provided. So come to the library and get a jolt of information along with your java. Reminders will be sent closer to the dates of the coffeehouse sessions, but mark your calendars — we hope to see you there.